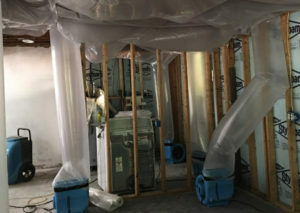 Serving the entire Pocono Pines area, we can get your basement water damage done quickly and professionally. We're happy to share our experience and answer your water damage restoration questions. 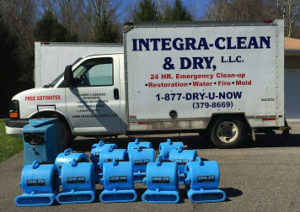 Integra Clean is available when you need help for Pocono Pines sewage cleanup. A problem with your sewer system can cause significant problems. In addition to the foul stench, an array of other problems such as fungi, viruses and other pathogens can create serious health hazards. If sewage problems remain untreated, they can cause major structural damage which can be highly expensive to repair. Our team of professionally certified experts at Integra Clean & Dryhave years of experience resolving various sewage cleanup and repair problems. We provide the best sewage cleanup and repair services in Pocono Pines for both commercial and residential customers. No job is too dirty or too big for out professionally trained and certified experts. When your home is being threatened by water damage from flooding or leaks, Integra Clean has the expertise to prevent or repair the devastating effects water damage can have in order to help preserve and restore your property. When you have an emergency water damage crisis on hand, call Integra Clean to handle all your water damage repairs. 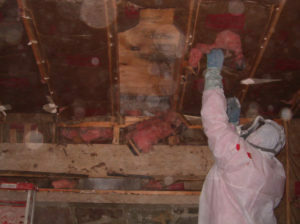 We provide services to all residential and commercial water damage victims in Pocono Pines and it’s surrounding areas. Pocono Pines is located in the heart of the Pocono Mountains and is home to the communities of Lake Naomi and Pinecrest Lake. Most of the land was originally owned by the Miller family. Frank C. Miller, his brother Rufus W. Miller, and others, bought lands on Tunkhannock Creek in Tobyhanna Township, Monroe County, Pennsylvania, organized a corporation known as the Pocono Spring Water Ice Company sometime in the 1890s. In September 1895, a 14-foot (4.3 m) dam was constructed across the creek and water began backing-up forming "Lake Naomi", a lake more than a mile long and about one-third of a mile wide. The Ice Company was granted a 99-year lease for "the exclusive use of the water and its privileges." It was chartered for the purpose of "erecting a dam, for pleasure, boating, skating, fishing and the cutting, storing and selling of ice. Today, Pocono Pines is home to places such as the Lake Naomi Club. We provide water cleanup services throughout Pocono Pines PA, including 18350.